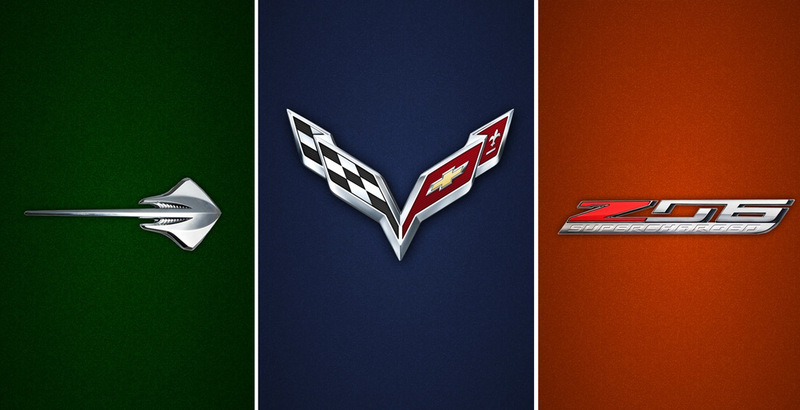 Choose your favorite Corvette-related logos and badges along with your choice of background paint jobs, shadowing, and orientation. There are thousands of unique image combinations. Then, just pick the device or resolution you want your wallpaper for and Generate it. Generated image will be large. On desktops, right click the image and select Save. On mobile devices such as iPhone, tap the image to bring up a Save dialog. #2- adding the 50th Anniversary logo as found on the fender of a 50th anniversary edition car? Yep!…those are the one’s! Cool! BTW – can’t wait for the C7! Oh no doubt, we have 6 days left until the reveal. I am very excited. I have Atomic Orange and love it, so I hope they offer something similar again. Just put up the first of the three 50th anniversary logos. Took quite a lot of editing, but looks great. I will do the other 2 shortly and add that 04 to my list. Atomic Orange! I bet that’s a head-turner!! Nice! Thanks for the wallpaper – it’s on the iPhone already! Coo! BTW – my Son just purchased a ZR1 last week – what-a-ride! – he got me connected to your website! Love the wallpaper on my iPhone 5 with ios6. Are you adjusting the images for ios7? They get stretched and the edges are cut off. Hi Dan- haven’t had a chance to check out the difference, but will attempt to do updates to the script to take care of it shortly. 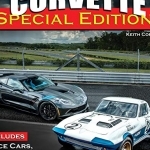 Can you add the option to do the C6 Corvette lettering and the Grand Sport Logo? And possibly the option to add the C6 Flags above the lettering and GS logo? Hi Mike, thanks for your interest. It’s been awhile since I worked on this component and I don’t currently have the time bandwidth to upgrade it at the moment. Sorry! Awesome site. Thanks for the wallpaper! Any chance of a Centennial Edition crossed flags logo?? Hi i think you should add a wallpaper size for the iPod 5 as the iPhone 5 ones do not fit my display and also to add other makes, such as ford, dodge, shelby, plymouth etc. Hi Jon, I can certainly update this app to use the new resolution. Jon, the iPad’s resolution is still 2048×1536 which is already in the list. You can use that now. Oh that is the same as the iPhone 5. 1136×640 with a density of 326 ppi. Can you make a C3 Logo? Kevin I have added the C3 badge in both forms (it changed in 1977). Enjoy. Is it possible to add the C7 Stingray Logo? Added Stingray emblem. I’m not aware of any C7 Z51 logo – and I even own one. Sorry guys- I changed servers and the wallpaper code got wiped out. I have fixed it and now all the wallpapers generate again. If you have any problems, let me know. I have also included some new colors and added the C7 Z06 badge. This is awesome – thank you! Is it possible to add the C5 flags with corvette lettering below it? Can you correct the spelling of Stingray? You show it as Sintgray. Any chance of getting a Black Rose Metallic background color?